13.5mm x 15.8mm / 0.532in. x 0.622in. 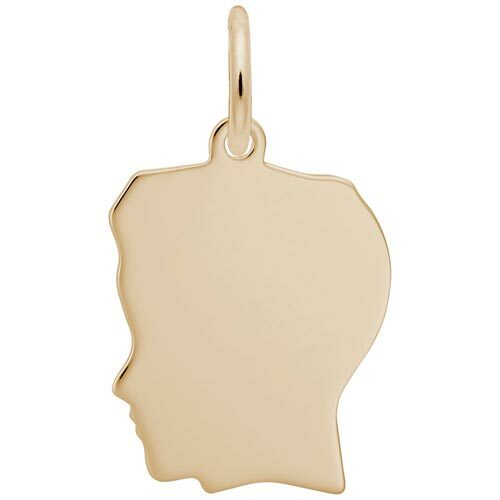 Flat Medium Boy's Head Charm by Rembrandt Charms. The height is 5/8 of an inch. The Flat Medium Boy's Head Charm is perfect to engrave a name and birthdate on. Collect your entire family on a charm bracelet. The matching girl’s silhouette charm is style 2032.